There Has Been An Increase in Hydro Scams. Manitoba Hydro is warning customers to be wary of high pressure scammers threatening to shut off their electric services unless immediate payment is made by a prepaid card. Their Security and Investigations Supervisor Chris McColm warns these people are crooks and you should hang up on them adding Hydro will never phone you and demand immediate payment by prepaid card or a money order. Another scam involves receiving a text message saying you were overbilled and are eligible to receive a refund which is an attempt to get your personal banking information. McColm says the utility saw nearly a 300 percent jump in the number of fraud related complaints this year from the year before with 862 phone, text and email scams as of October 31st with the increase driven by scammers threatening disconnection of service to small business owners. He advises do not click on any links in the email or text, do not reply to them and never provide personal banking information via mail or text and if unsure call them at 1-888-624-9376. Drinking, Driving and Storage Were Issues in Manitoba Checkstops. Manitoba RCMP completed week three of their Holiday Checkstop Program last Sunday. During the week 68 checkstops were conducted across the province with approximately 4 thousand vehicles checked. 21 people were charged for impaired driving by alcohol with the highest blood alcohol reading .220 which is almost three times the legal limit. Two people were charged with refusing a breath demand, there were six alcohol related tiered suspensions, one drug related tiered suspension and 12 people were charged with improper storage of alcohol or cannabis in a vehicle. The RCMP note there were no fatal traffic related collisions during that week. You Can Start the New Year With a Party. The Flin Flon Arts Councils first presentation of 2019 will be the Dirty Catfish Brass Band January 19th. The Council’s Crystal Kolt says it’s a great way to kick off their season. She explains the Dirty Catfish Brass Band is like a New Orleans brass band with seven horn players and so it’s just going to be the perfect way to start off the New Year and it’s going to be cabaret style so people can bring any hors d’oeurves or any kind of treats they want for their table and be entertained by a really great band. The Dirty Catfish Brass Band will perform January 19th in the Flin Flon Community Hall with tickets available at Northern Rainbows End on Main Street at 35 dollars for adults and 15 for youth. Your Support Helped the Salvation Army Have a Successful Christmas Season. Salvation Army Major Debbie Allen reports they again had a successful Christmas kettle and hamper program in the Flin Flon area. She says they made 16,800 dollars on the Christmas kettles and their total fund raising just coming in is 500 dollars short of last year at 21,000 so they still have a few days towards the end of the year and hopefully they’ll reach their goal of 21,500 dollars and they packed 120 hampers and gave out only 105 but they did give some to the Food Bank and they have a few that are not picked up yet. Allen adds their programs were a success due to a lot of support from the community. Hudbay Has Expanded Its Resources. Hudbay Minerals has completed its acquisition of Mason Resources. The two companies announced last week the completion of the previously announced plan of arrangement whereby Hudbay has acquired all of the issued and outstanding shares of Mason it did not already own for 40 cents per common share. 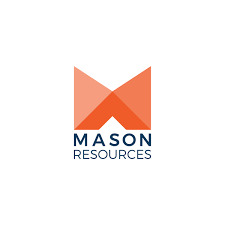 Mason Resources is a Canadian mining company focused on copper exploration and development in the United States with the Ann Mason copper deposit in Nevada and the copper gold Lordburg projects in New Mexico. Hudbay President Alan Hair says they are pleased to complete the acquisition of Mason and add the Ann Mason project to their pipeline. He adds the Ann Mason project meets their stringent acquisition criteria and has the potential to be a long life low cost mine in one of the world’s best jurisdictions for mining and it is at a stage where they can leverage their management expertise in exploration, engineering, permitting and construction to create value for their shareholders. You Can Get a Ride Home Tomorrow Night and Monday Night Which is New Years Eve. In spite of the snow Operation Red Nose was out last Friday and Saturday nights. The Rotary Club’s Committee Chair Ted Hewitt says they had another successful weekend of getting people and their vehicles home safely. He reports Operation Red Nose was busy on Saturday evening but slow on Friday due to the stormy weather but they still provided a total of 46 rides. Volunteers from the Steelworkers Union, the hospital staff, Pharmasave staff plus the community worked the Friday and Saturday and next Friday the 28th the volunteers will be provided by the community. 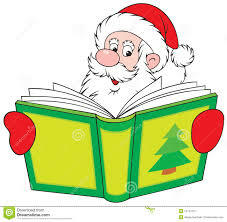 He notes due to difficulty in getting volunteers this time of year Operation Red Nose will not be in operation this coming Saturday evening the 29th. Hewitt adds they are still desperately in need of volunteers for New Years Eve which is a very busy night. If you can help out application forms are available on line at www.operationrednose.com or at Flin Flon Insurance and Standard insurance. For information you can call Ted at 204-687-7450. There are Some Christmas Items That Cannot Be Recycled. Its time to pack up your Christmas items. The Flin Flon Recycling Center Administrator Deb Odegaard reminds you there are some items they can’t take. She says they cannot recycle wrapping paper and tissue paper, a lot of the packaging like Styrofoam and plastic bags and that sort of thing that comes around items inside a box, it’s not recyclable so that should be removed before bringing them for recycling and the usual food containers, if your food container is not washable it’s not something they can recycle. Odegaard reminds you the Recycling Center will be closed on New Years Day. If you need more information on recycling you can visit their website www.flinflonrecycling.org or call them at 204-687-6169. Saskatchewans Premier is Impressed With How People in the Province Support Each Other. In his annual Christmas message Premier Scott Moe quotes George Matthew Adams who said let us remember that a Christmas heart is a giving heart, a wide open heart that thinks of others first. He says standing up for Saskatchewan means we look after each other adding as you go from city to small town to countryside in this great province he is amazed how people do just that, look out for each other and they do it in so many ways through volunteering, fundraising, helping refugee families and supporting those in crisis. He says Saskatchewan people reach out to others always without question extending the hand of friendship to those in need. Moe concludes around the world and right here at home our province continues to be a shining example and he is proud to call Saskatchewan his home. 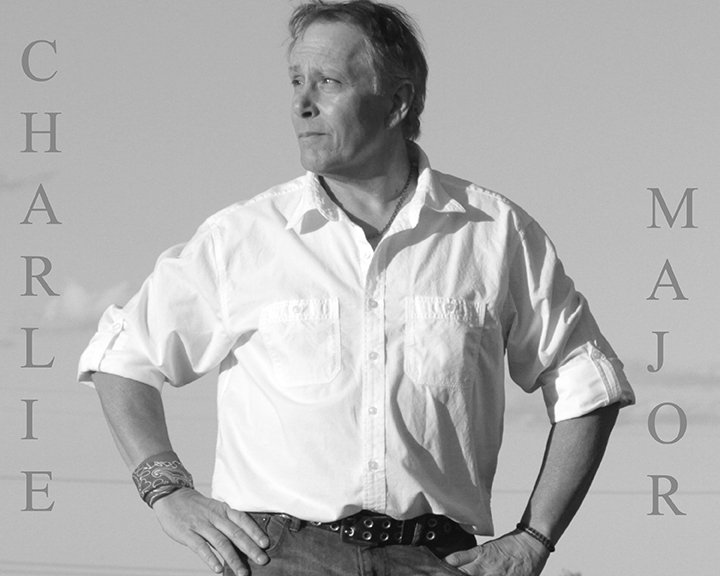 Saskatchewans Lieutenant Governor Has Been Inspired by the People of the Province. 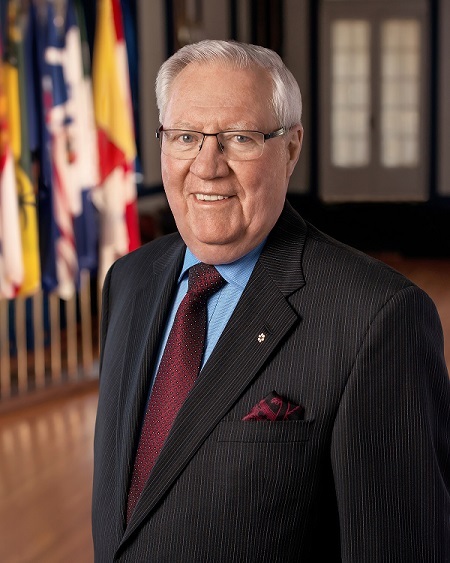 Lieutenant Governor W. Thomas Molloy in his Christmas message says this has been a remarkable year since his appointment in March. He says as he travelled across the province he has been very impressed with their outstanding volunteers and is grateful to everyone who donated their time to improve the lives of others. He also thanks the many Indigenous communities that invited him to visit and through their events has witnesses both a respect for cultural traditions and creative innovation expressing his gratitude to everyone who is exploring how we can achieve reconciliation together. Molloy adds this year he has also met many inspiring young people as the youth of the province are providing leadership in many areas including mental health, overcoming racism and welcoming new Canadians. He concludes our impressive young leaders are reason for great hope for our future adding he is truly grateful to call Saskatchewan home. 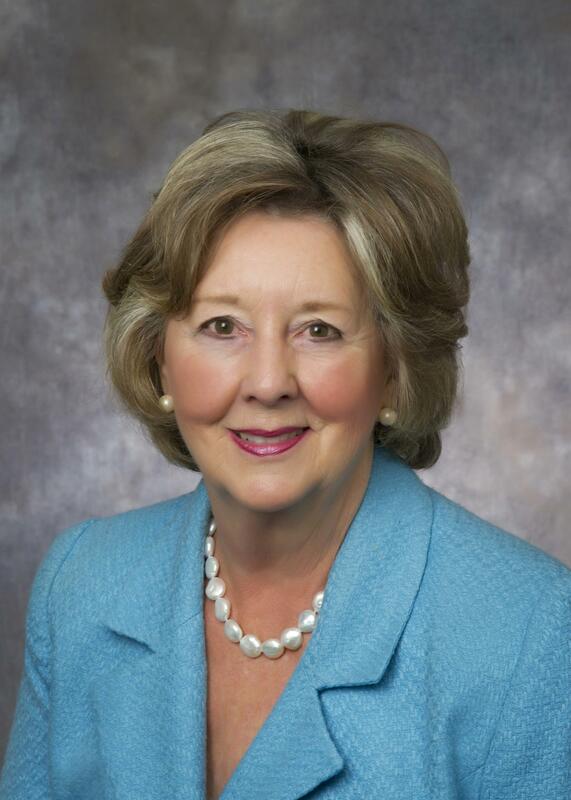 Manitobas Lieutenant Governor has Praise for People in the Province. In her annual Christmas message Lieutenant Governor Janice Filmon says the festive season seems to bring out the best in Manitobans providing many opportunities for citizens of all ages and faiths to demonstrate our renowned, shared sense of generosity and community spirit. She says our province truly cares and that wonderful attribute is on full display this time of year noting customs and cultures may vary from one home to another but each tradition has its own way of reflecting the cherished values of love, peace and goodwill. Filmon adds the holiday season is further brightened by an impressive array of arts, culture, sports and neighborhood activities that bring people together and enrich the quality of life we enjoy in our province. She concluded may the wonder of this special time inspire gratitude and added appreciation for each other and the place we are so fortunate to call home. Alcohol Dominated the Checkstop Program last week. 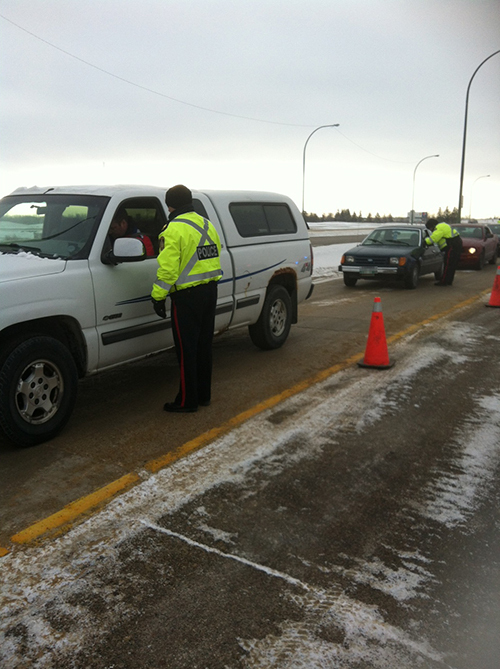 Manitoba RCMP completed the second week of their Holiday Checkstop program last Sunday. They report 70 checkstops were conducted around the province with approximately 3530 vehicles checked. 18 people were charged with impaired driving by alcohol with the highest blood alcohol reading .300 which is nearly four times the legal limit. 5 people were charged with refusing a breath demand, there were 8 alcohol related tiered suspensions and 17 people were charged with improper storage of alcohol or cannabis in a vehicle. Their report noted there was one traffic related fatality during the week in Pukatawagan which did not involve alcohol impairment. As well a vehicle stopped in Steinbach was found to be stolen with further investigation determining the Winnipeg driver was also in possession of counterfeit currency, break in tools and drug paraphernalia. He was charged, the vehicle seized and the investigation continues. The Recycling Center and Landfill Will Take a Bit of a Break. Workers at the Flin Flon Recycling Center and the Landfill will be taking some time off over the holidays. Administrator Deb Odegaard explains they can’t take too much of a break because people keep bringing them stuff which is good but they will be closed Christmas Day and New Years Day but they will have someone there on Boxing Day and the trailer will be available by Canadian Tire as well. She also notes the Landfill will be closed Christmas Day, Boxing Day and New Years Day and will close early on Christmas Eve. Odegaard adds there will also be no curbside red bag pick up in Flin Flon on Boxing Day. For more information on recycling or the Landfill you can visit their website www.flinflonrecycling.org or call 204-687-6169. Our Member of Parliament Says Her Message to the Prime Minister is enough is enough. MP Niki Ashton says it has been a tough year for people where she is from. She explained people have lost their jobs in communities like Thompson and set to lose them in Flin Flon, communities like Churchill are struggling to find their footing, First Nations continue to face a housing crisis, education is grossly underfunded and people are literally dying because of the loss of health care supports. She says people have had enough and it’s similar across the country where people are falling behind all this while their Government sits on the sidelines. Ashton adds instead of fighting for good jobs this government is fighting workers like postal workers, speeding up the hollowing out of industries through foreign takeovers and job killing trade deals and instead of fighting climate change this government is buying a pipeline adding they aren’t part of the solution they are part of the problem. A Unique Christmas Concert is Coming up Tomorrow Night. The Flin Flon Young Musicians will be performing their annual Christmas concert tomorrow night. Director Susan Fulford says it features great young talent. She explains Love Was Born is their special annual concert in the dark where the audience can come and listen with no expectation of response. She says featured will be the singing ensemble Kaleidoscope, high school piano and voice students and their special guest Mikylo Odut on flute. 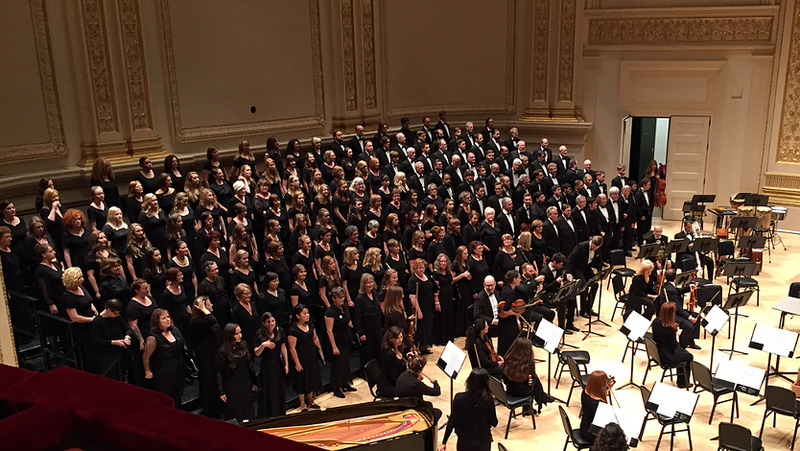 The concert will be held tomorrow night at 7:30 in the Lutheran Church on Second Avenue. Admission is ten dollars for adults and 5 for students with the proceeds going to Camfed which is an organization to support the education of young women in developing countries. Your Votes Could Help Bring a Charlie Major Concert to Flin Flon. At the Flin Flon City Council meeting Tuesday night Councilor Ken Pawlachuk reported on a contest sponsored by Dauphin Country Fest that the local Blueberry Jam Music Gathering will take part in. To celebrate their 30 years of running the largest music festival in Manitoba Dauphin Country Fest wants to bring the birthday party to you with the Our Birthday Your Party Contest. Communities with a population of ten thousand people or less can enter now by visiting their website www.ourbirthdayyourparty.ca with the winning community receiving a concert by country star Charlie Major with the community taking care of ticket sales and ticket revenue which if Flin Flon wins will go to support the Blueberry Jam Music Gathering. Entries are being accepted until March 31st, judges will select the top seven finishers to be announced April 17th on their website and voting will run until May 3rd with the community receiving the most online votes declared the winner. 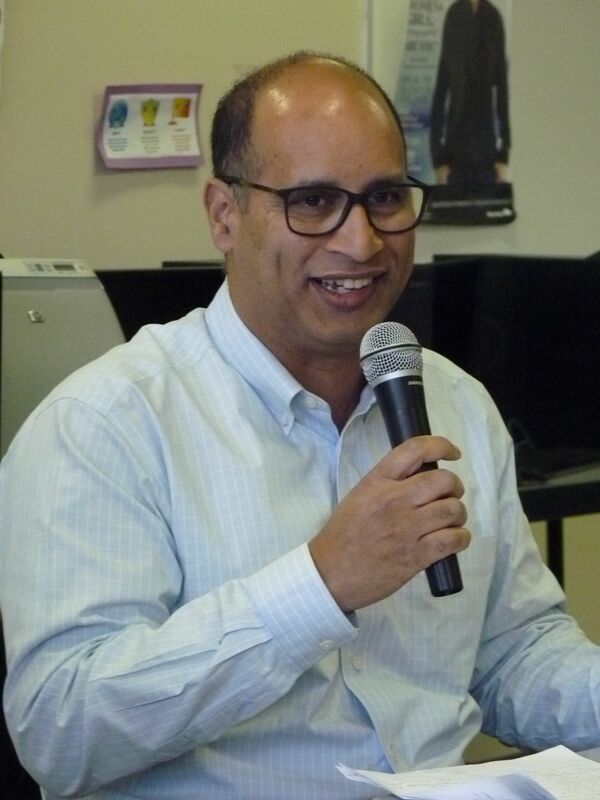 Also with entertainment Pawlachuk reported the Flin Flon Community Choir’s presentation of Mamma Mia in May has sold out three shows and is looking at a fourth to be announced shortly. The Chamber President Says We Can Continue to Move Forward by Working Together. At the Flin Flon and District Chamber of Commerce Annual Meeting Tuesday President Karen MacKinnon began the second year of her two year term. She says as a Chamber this is one of the most important times in our history with the economic uncertainty we have in our region. She believes more than ever Chamber members have to work together with our municipalities, our surrounding First Nations communities, the Manitoba and Saskatchewan Chambers of Commerce, the Provincial and Federal governments and most of all with the whole North. She adds if we all work together we will come up with some positive solutions for not only our region but also northern Manitoba and Saskatchewan as a whole. She says we have to show that northern Manitoba and Saskatchewan have many opportunities just waiting to be discovered and is a great place to do business. MacKinnon adds she was recently in Cape Breton Island which faced many setbacks over the years but not only prevails but has blossomed by diversifying and citizens working together. Flin Flon City Council Received a Special Award at Their Meeting Last Night. Regional Economic Development Officer Eve O’Leary presented Council with a special award. It was presented by the Economic Developers Association of Manitoba to the Flin Flon Denare Beach Creighton Economic Development Corporation for the Economic Project of the Year in recognition of their outstanding accomplishments in economic development and setting an example that can be followed by other rural communities in the province. Mayor Cal Huntley noted it is very significant that they received the award so early in developing their program and is something to look back on as they move forward. In other business Council approved the Recreation Fee Schedule for next year with an average increase in fees of two percent. This does not include the Whitney Forum which is done separately. Councilor Ken Pawlachuk reported Fire Chief Chad Cooper continues to offer training for fire fighters from sixteen reserve areas supported by University College of the North which is also offering a culinary arts program through the Friendship Center. Mayor and Council wished everyone a very safe and Merry Christmas. The Chamber is Set for Another Year. The Flin Flon and District Chamber of Commerce accepted a slate of officers for this year at their 2017-18 annual meeting yesterday. Karen MacKinnon will serve the second year of her two year term as President. Past President is Dianne Russell, President Elect Becky Cianflone, Vice-President Twyla Storey, Secretary Bunny Burke, Treasurer Kory Eastman and Directors Dave Kendall, Tom Therien, Colleen McKee, Mary Dwernichuck, Laurence Gillespie, Myrna Ewing and Courtney Campbell. Highlights of the year reported by committees included hosting the second annual Northern Chambers meeting with the biggest focus on combining their voices, Trout Festival grand opening and barbeque, membership with 91 membership renewals and 5 new members, the 2017 Infusion Entrepreneurship Conference with 58 attendees and 8 exhibitors, fundraising with their major fund raiser the annual radio auction and group discussions with entrepreneurs from Flin Flon and The Pas. Your Help is Needed to Make a Winter Festival a Success. The 40th annual Denare Beach Winter Festival is being planned for February. Recreation Director Mel Durette says they are holding a meeting tomorrow afternoon for interested volunteers. She says they’re just looking for anybody who is willing to volunteer noting this year is the 40th. She adds just anybody that wants to add anything, any games, any events, anything you want and get it all figured out for the Winter Festival. The meeting is being held tomorrow afternoon at 1 o’clock at the Denareplex. If you cannot attend the meeting and would like to volunteer or need more information call the Recreation Office at 306-362-2050. Operation Red Nose Continues to be Well Used But They Need More Volunteers. Operation Red Nose had a 4th successful weekend of getting people and their vehicles home safely. The Rotary Club’s committee chair Ted Hewitt says this past weekend again went well. He reports Operation Red Nose had another very busy weekend providing a total of 65 rides. 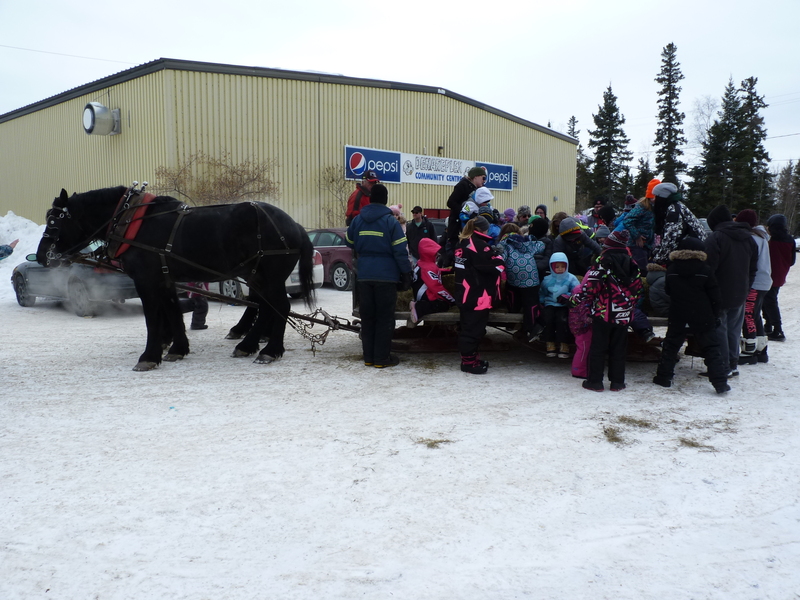 Volunteers from the Kinsmen plus the Kinettes and Hudbay staff worked the Friday and Saturday. He adds they are still seeking volunteers for Friday December 28th plus are desperately in need of volunteers for New Years Eve. Applications can be picked up by going online or at Standard Insurance and Flin Flon Insurance. If you have any questions you can call Ted at 204-687-7450. Creighton Residents Were Part of a Christmas Lights Contest. Judging took place Friday night for the Town Of Creighton Light Up For Christmas contest. Acting Recreation Director Tina Law reports the winner for the most lights was Kirk Tait at 203 Green Street, the winner for the most traditional was Scott Rosenberger at 107 Creighton Avenue and the winner for most animated was Dan Lyhkun at 566 Creighton Avenue. Each of the winners will receive 50 dollars and their cheque and certificate will be mailed out to them. The Lights Were 0n Around Homes in Denare Beach. Residents of Denare Beach took part in the Village of Lights by putting up Christmas lights. Recreation Director Mel Durette says the judges toured the lights and displays and the winners were selected on Friday night with the McPhersons first and they are at 308 Welsh Crescent, second place is Gilmores and they’re at 413 Tenth Avenue and Alana Scott is at 800 Mosher Road in third place. First prize was a 100 dollar Canadian Tire gift card while second and third were 75 and 50 dollar gift cards from Rockyview. 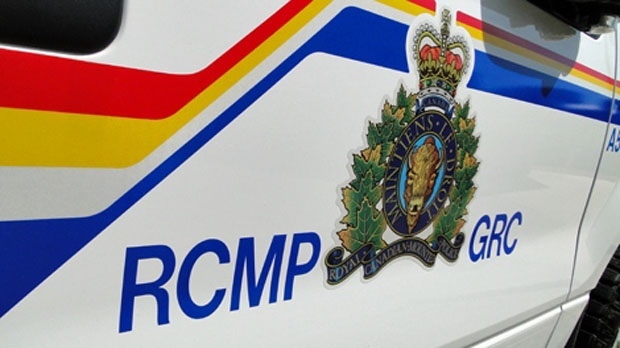 RCMP are Investigating a Death on a Winter Road. Around ten o’clock Saturday night Pukatawagan RCMP received a report of a deceased man on the winter road. After further investigation they found that the 29 year old man had been struck by a snowmobile. A short time later the snowmobile driver who was a 16 year old male from the community reported the incident to police. The investigation continues. A Lot of People Celebrated Christmas on Main Street. The Main Street Committee’s Chair Dianne Russell reports Moonlight Madness Family Night was a success. She explains they had 53 entries in the first ever Moonlight Madness passport contest and the winner was Patrick Benoit and he won over 960 dollars in gift certificates from uptown businesses. She adds over 120 kids visited Santa and many shoppers also took advantage of free gift wrapping, there was the Kinmen fire pit and Vic Inn hot chocolate and it was so busy they ran out of hot chocolate. She notes from the Main Street Committee on behalf of Treasure Daneliuk the chair of Moonlight Madness thank you to all shoppers for joining in on their Moonlight Madness 2018. Moonlight Madness Family Night ran from 5 to 8 Thursday on Main Street. You Can Give a Meaningful Gift This Year. World Vision Canada is urging you to join others in Flin Flon in giving a gift from their gift catalogue. In the past five years Flin Flon residents have donated over 55 hundred dollars to their gift catalogue. Their Regional Manager in Manitoba Chris Schroeder says gifts can range from clean water to school and medical supplies to livestock for families in developing countries giving the example of a community receiving three goats and they were able to use their milk for their communities but also sell it at the market which gave them additional income which they used to buy sewing machines for the community so that youth were able to sew clothes for those who live in the area and these youth started selling those clothes in the market which gave them additional income as a community which they in turn used to purchase more livestock to help them with their crops in regards to having equipment for that. Schroeder says this community is now self-sustaining so you know someone is receiving a gift that can significantly change their lives. You can learn more by visiting their website www.worldvision.ca/gifts. Flin Flon and The Pas are Still Separate Constituencies. between Flin Flon and The Pas. The Commission adjusted the boundaries so that each northern electoral division has no more than 10 to 14 community areas situated therein. The Commission has also made other changes. Given that The Pas electoral division will now encompass a large part of Lake Winnipeg, the name was changed to The Pas–Kameesak because Kameesak in Cree means “big”, a likely reference to Lake Winnipeg. Finally, in response to input during the public hearings, the Thompson electoral division was adjusted to include the communities of Nelson House, Gillam, Churchill and the other communities along the railroad line. They add under the new boundaries, the four electoral divisions in the north have better balanced populations, are more similar in size and respect travel patterns as well as communities of interest. A Christmas Gift Program Has Reached the Giving Stage. 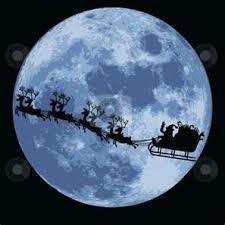 A lot of appointments have been booked and gifts are being picked up starting today in a Christmas gift program. The program run by the Flin Flon Friendship Center allows parents to give their children a gift at Christmas when circumstances prevent them from doing so. The Center’s Program Events Coordinator Vanessa Campbell says they are pleased with the donations. She explains the gift program this year for 2018 has gone very well noting our community of Flin Flon has graciously stepped up to support it and Christmas will be good for everyone. She adds people are now picking up gifts. She says the Christmas Gift Program is run as it’s usually run as families come and they register and they are provided a time and date to attend and come and pick up their gifts at the Headstart Center downstairs at the Friendship Center. This is the 24th year for the Christmas gift program. Its Time to Register for a Pre-Kindergarten Program. Flin Flon School Division will again be running their Kindervention program starting next month. Assistant Superintendent Tammy Ballantyne explains it prepares four year olds for school. She says it’s just a start to the school so they get to know the school environment and kind of what school entails, learning how to sit, listen to a story, some find motor development and fun with the teacher. This is for children entering kindergarten next September and must be five years of age by December 31st 2019. Ballantyne adds information meetings are being held for parents with one on January 8th from 2:30 to 3:30 at Ruth Betts School in the Family Room and then there’s one on Wednesday January 9th from 7 to 8 in the Library at McIsaac. You can attend either session and you can contact the school in your catchment area to register your child or for more information. The deadline to register is next Friday, December 21st. An Annual Christmas Service Supports the Flin Flon Food Bank. For the 13th year the local choir Borealis will hold a Service of Lessons and Carols For the Whole Community Sunday afternoon. The choir’s Tim Spencer says the concert will support the Lord’s Bounty Food Bank while offering you music and readings. He explains it’s going to be a traditional lessons and carols church service so there’ll be readings of the Christmas story from the bible but in between each reading there’ll be carols sung by the choir and they have a small guest choir in Kaleidoscope which are a young people’s choir that are going to be joining them. He adds they’re doing the greatest hits of carols for the congregation to sing along too, all of the most familiar ones. The service will be held Sunday afternoon at 3:30 at the Lutheran Church on Second Avenue. Admission is an offering of money or non-perishable food items for the Food Bank. Manitoba Motorists are still Drinking and Driving. Manitoba RCMP charged 28 people with impaired driving during the first week of Holiday Checkstop. The program was officially launched December 1st and runs until January 1st focusing on the detection of high risk drivers with week one resulting in approximately 25 hundred vehicles checked across the province during 59 checkstops. 28 people were charged with impaired driving including 23 for alcohol, 2 for drugs and 3 refusals with the highest blood alcohol reading 3.5 times more that the legal limit. Nine people were charged with improper storage of alcohol or cannabis in a vehicle, ten ticketed for using a hand held electronic device while driving and four for not wearing a seatbelt. The RCMP remind you to buckle up, drive sober, put your phone down, drive for conditions and ensure everyone gets home safely. A Flin Flon Event Will Benefit From a Government Grant. The Manitoba Government will be providing 950 thousand dollars in grants across the province to projects for non-profit and community led organizations. A total of 57 projects were approved in five programs that are designed to improve the well-being of residents in our communities. Under the Community Support Small Grants Program the Flin Flon Arts Council is receiving 7 thousand dollars for their annual Culture Days event held in late September. The other northern region grants were under the Community Places Program with just under 21 thousand dollars going to the Thompson Ski Club for replacement of ski lift cables and just over 41 thousand dollars going to the Town of Lynn Lake arena redevelopment. 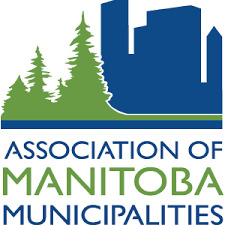 For more information on these grant programs go to the Manitoba government website and click on Departments, Municipal Relations and then Community Development. Its Time to Light Up Your Home in Denare Beach. Residents of Denare Beach are again taking part in the Village of Lights by putting up Christmas lights. Recreation Director Mel Durette explains you just decorate your home and you can have a chance to win first place of a hundred dollars gift card to Canadian Tire, second place is a 75 dollar gift card and third is a 50 dollar gift card. She adds the judging will be at 6 o’clock Friday night and they’ll let the winners know Saturday at their Christmas party. This is the tenth year for the Village of Lights. Sing Along and Support a Summer Music Gathering. You are invited to attend a viewing of Handels Messiah that included the Flin Flon Community Choir tomorrow night. Choir Director Crystal Kolt says you can watch and sing along while supporting the Blueberry Jam Music Gathering. She explains they’re calling it Sing-A-Long Messiah so they will be showing the 2013 performance of Messiah called Messiah Refreshed at the Lincoln Center in New York City with about a hundred Flin Flonners down their performing and visiting and they are inviting people that know Messiah or sang with Messiah to bring their scores and to sing along with that production and the people who want of come and just listen can come and enjoy and it’s a fund raiser for Blueberry Jam and they’re really excited about supporting them. The performance will be shown at 7 tomorrow night in the Hapnot Collegiate Theatre. Admission is a silver collection to support this summer’s Blueberry Jam Music Gathering. The Northern Patient Transportation Program Was Raised in the Manitoba Legislature. During Question period last week The Pas MLA Amanda Lathlin addressed funding concerns with the Northern Patient Transportation Program. She said they know that the Minister of Health put false information on the record when he said there have been no changes to the Northern Patient Transportation Program and the Minister still hasn’t retracted that information and today is his last day until the next session to do so. She asked will the Minister retract the false information he’s put on record, acknowledge the harmful cuts he’s making and most importantly reverse these cuts. 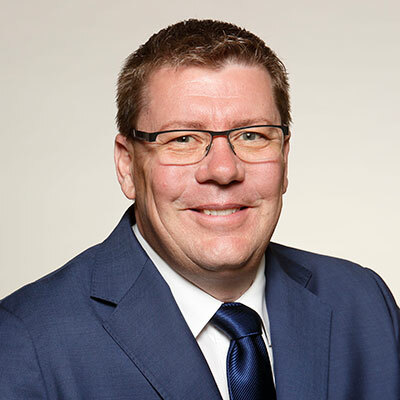 Minister of Health Cameron Friesen stated the Northern Patient Transportation program is essential for Northern Manitobans to be able to reach appointments in the South and there are rules in place for the program but some rules failed to be enforced. He added the Northern Health Authority is once again enforcing those rules to make sure the program stays strong for Manitobans. According to Lathlin, over 1 million dollars for the Northern Patient Transportation Program was cut and this has forced the Northern Health Region to reduce the number of people who get flights under the program. Christmas Shopping and Celebrating Will be the Focus on Main Street. The Main Street Committee is presenting Moonlight Madness tomorrow night. The Committee’s Treasure Daneliuk says it’s a Main Street family night with a lot of fun activities. She says there is going to be a fire barrel and free hot chocolate by RBC with the Kinsmen manning those for them and will have their ice shack tickets for sale. She adds down at Mugsy’s they’ll have a free wrapping station so come and enjoy hot chocolate, coffee, tea and desserts and get your gift wrapped free and there’s also pictures with Santa at the Library and Sal’s Fitness group space will be hosting fun games for kids with the Flin Flon junior Bombers this year so come check it out. You should also remember to pick up a Moonlight Madness Passport at various businesses and have it stamped to enter a draw for a valuable prize. The Moonlight Madness Family Night runs from 5 to 8 tomorrow night on Main Street. Its Time to Buy a Gift From the Angel Tree. The Salvation Army has set up an Angel Tree in Walmart to help collect toys for children. Major Debbie Allen explains on the tree you will find tags and you pick a tag and go shop for a child. She says the ages are listed on that tag and so you check the age of the child, male or female, and return it once its paid for to the service desk at Walmart and they will hold it for her. Major Allen adds the toys will be distributed to children in Cranberry Portage and Sherridon as well as the Flin Flon Friendship Center’s gift program. The Angel Tree will be in Walmart until December 22nd. A Lot of Teddy Bears Came to the Bomber Game. Northland Ford held their annual Teddy Bear Toss at the Flin Flon Bomber Game Friday. Sales Consultant Doug Gourlay explains when the Bombers scored their first goal fans tossed Teddy Bears over the boards. He says it went very well so thanks to everybody in the whole area who came out to the Bomber game, it was a great game and they got their two points as well and they collected 412 Teddy Bears and 15 toys so they’re going to get them to the Friendship Center as soon as possible and then they’ll be distributed to kids in the area. This was the sixth year for the Teddy Bear Toss and is up from 230 bears and toys collected last year. The Library is Practicing Forgiveness at Christmas Time. The Flin Flon Public Library Administrator Courtney Campbell reminds you now is the time to return overdue library books. She explains they have a partnership with the Friendship Center and if you bring in non-perishable food items, new toys or new books they will waive the fines that you have on your account and they’ll give those toys to the Friendship Center and that runs until December 14th so you still have a bit more time to get those fines waived away. Campbell also invites you to drop in Thursday night during Moonlight Madness Family Night on Main Street as they are going to be Santa’s Workshop so while you’re doing all of the fun stuff they’ve got going on uptown you can stop by the Library and the kids can play, you can pick up some books and Santa will be there from 6 to 8 pm and you can take some pictures with your cell phone. Moonlight Madness Family Night runs from 5 to 8 Thursday on Main Street. There is an Increasing Interest in Getting Home Safely. Operation Red Nose completed its third weekend of getting people and their vehicles home safely in the Flin Flon area. The Rotary Club’s Committee Chair Ted Hewitt says it was their best weekend so far this year. He reports Operation Red Nose supplied a total of 68 rides and volunteers from the Women’s Resource Center, Friendship Center, Creighton School staff and McIsaac School staff worked the Friday and Saturday. He adds even though Operation Red Nose is a free service those that received the service were very generous with donations and all the funds collected stay in the community for children’s activities preferably organized sports. Operation Red Nose continues to provide service Friday and Saturday nights until December 28th as well as New Years Eve and they still need volunteers for December 22nd, 28th and New Years Eve. You can apply online at www.operationrednose.com or pick up forms at Flin Flon and Standard Insurance. You can call Ted at 204-687-7450 for more information. Fire Damaged a Home in Flin Flon Friday Night. 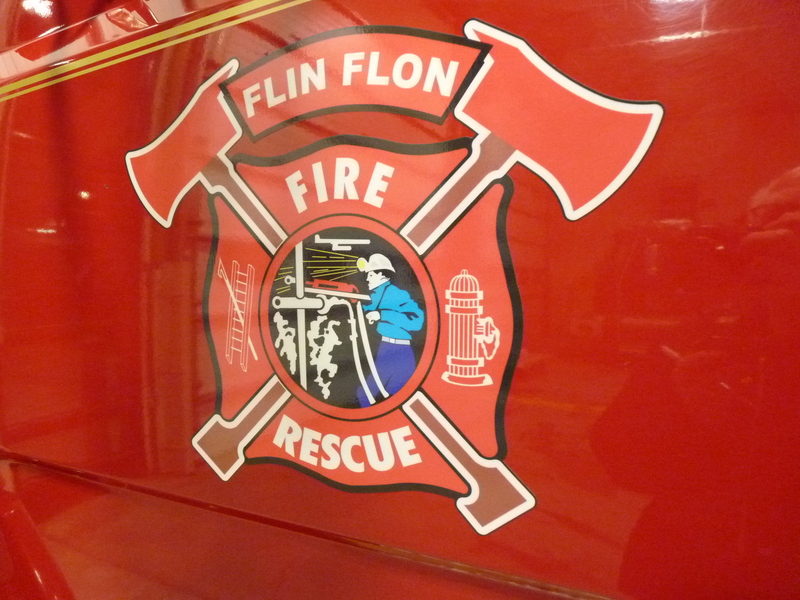 The Flin Flon Fire Department was called to a house fire at 49 Third Avenue Friday night. They report heavy fire could be seen coming out of the kitchen window and there were initial reports of someone possibly being inside. Fire crews attacked the fire while a search took place with no one located in the building. Fire damage was contained to the main floor of the home. No injuries were reported and the fire is under investigation. You Can Help Us Remember 1984. The Ham Sandwich Theatre Group is holding auditions for their spring production tomorrow night. Director Tom Heine says they are looking for mostly adults but will consider people 15 and over for George Orwell’s 1984 which he says is a play more than applicable to the society we’re living in today. 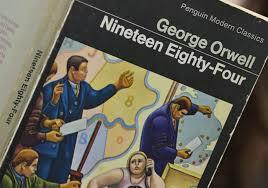 He says it was a warning and when George Orwell wrote the story basically it was maybe not a portent of the future but it looks like he was kind of right in a lot of respects so he thinks it’s a play that will be relevant to what our world is like today. Auditions are being held tomorrow night at 7 in the Flin Flon Community Hall with the performance taking place March 8th and 9th. Our MLA is Calling for Action on the Northern Economy. In the Legislature last week MLA Tom Lindsey stated northern Manitobans don’t know what this government is doing to grow the northern economy. He explained the Premier’s made it clear countless times that he knows job losses are coming and to be clear he has know for a long time somewhere between 1500 and 2000 job losses are coming maybe more. He added this government’s reply so far has been business as usual asking when will this Premier stop the evasions, take responsibility for helping northern Manitobans with a plan to grow the economy and maintain the services they need. Growth, Enterprise and Trade Minister Blaine Pederson replied they are working very closely with the mining industry in the north as there is huge potential for discovery and they are working with communities to open those mines as well as working on a tourism strategy. Lindsey again asked when the minister will talk to northern Manitobans and give them a northern economic jobs plan. Our Member of Parliament Niki Ashton raised similar concerns in the House of Commons calling on the Federal Liberals to do more about the job situation in northern Manitoba. The Sounds of Christmas and More are Coming to Hapnot Collegiate. 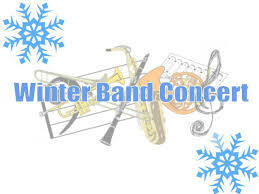 A Hapnot Collegiate winter band concert is taking place tomorrow night. Band Instructor Kim Jones says it will feature a weird, wacky and wonderful line up. She says there will be some Christmas carols but also a showcase of all the things they have been doing throughout the fall and there’s some really interesting music with the choir doing a piece with choreography, monkey chants from Bali and the band is doing a really interesting piece with electronic accompaniment. She adds they have the jazz band as well performing some jazz standards as well as a Christmas piece and joining them this year they also have the History of Modern Music students performing some songs so it’ll be a lovely showcase of all their music ensembles at Hapnot Collegiate. The concert takes place tomorrow night at 7 in the Hapnot Collegiate gymnasium. The Emergency Room Upgrade Community Fund Raiser has Reached its Goal. At their meeting yesterday the Rotary Club of Flin Flon presented a cheque for 50 thousand dollars to Northern Health Region CEO Helga Bryant. This brings the Club’s contribution of the new General Hospital Emergency Room to 150 thousand dollars from the two air shows they sponsored. Bryant stated the Rotary Club has been so supportive of the project right from the beginning and this 50 thousand dollars goes a huge way towards maintaining and gaining the rest of the community contribution and the energy that they have built up in the community and the project has really prompted other donors as well. Bryant adds with community support they have reached the community contribution of just over two million dollars. She noted a decision will be made soon on when they can take over the department with two months required for hiring, staff orientation and moving equipment. In later discussion she reported they are now providing urology services, are communicating with an ophthalmologist and are awaiting the results of a province wide clinical study expected in the spring to see if an opportunity can open up to safely return to obstetrics. Creighton Residents Are Invited to Take Part in the Christmas Light Program. The Town of Creighton is holding a Light Up For Christmas contest. Acting Recreation Director Tina Law explains the judging will take place the night of Friday, December 14th after the Family Dance so they’re requesting everyone have their lights on between 9 and 11. She adds there’ll be a cash prize awarded for the most traditional, the most lights and the most animated so there’s three categories and the winners will be posted on the Creighton Rec page so have your lights on and get all your decorations out. If you require more information you can call the Recreation Office between 10 and 2 at 306-688-3538. They Lit Candles to Remember. People joined the Womens Resource Center at Pioneer Square last evening for the annual Candle Light Vigil. The Center’s Keely Patterson told them the event remembers victims of the Montreal Massacre of 1989. She explained in just 20 minutes this young man killed 14 young talented ambitious and courageous women because of their gender and to this day people still remember hearing about this tragic event through the media and felt the sudden shock that someone would murder these intelligent young women based on their gender. She said all 14 of these women lost their lives before having the opportunity to pursue their dreams and fulfill their professional aspirations. Patterson added the day marks the National Day of Remembrance and Action on Violence Against Women and is a call for action as today and every day women must have what they need to live without fear, without violence and with choice, so let’s work together here in Flin Flon to make it happen. You Can Take a Teddy Bear to the Bomber Game. 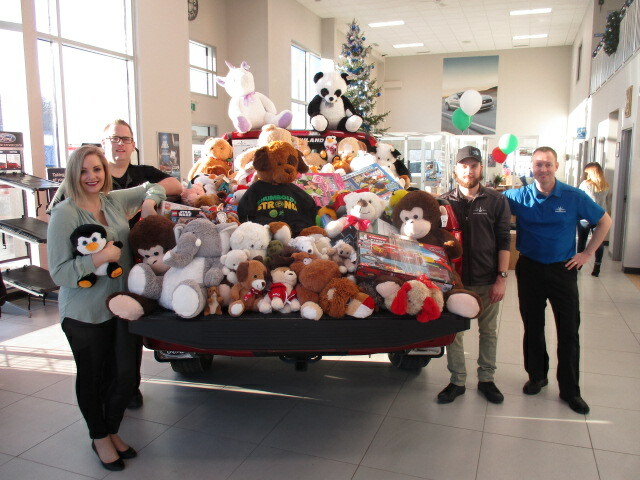 Tomorrow night Northland Ford will be sponsoring their 6th annual Teddy Bear Toss at the Flin Flon Bomber game. Sales consultant Doug Gourlay explains they’ll be at the Bomber game on Friday night and they’re going to be collecting Teddy Bears and small toys and things for the Friendship Center and Salvation Army this year and they are distributed through town and what happens is on the Bomber’s first goal the game will stop and the fans will throw the Teddy Bears on the ice and they scoop them all up and get them over to the Salvation Army on Monday. 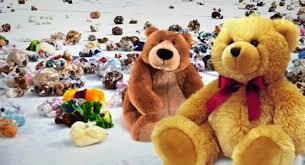 Gourlay adds if you don’t have a Teddy Bear they’ll have drop off boxes for toys that can’t be tossed onto the ice as well as a drop off at Northland Ford. At approximately 4:00 o’clock Tuesday morning Moose Lake RCMP received a report of a fire at the convenience store located on Runway Road in the community of Moose Lake. They also discovered a large sum of money had been stolen from the business prior to the fire starting. RCMP have charged 28-year-old Bernell Ramsey Ettawacappow, of Moose Lake, with Arson, Break and Enter and Theft Over $5000 and have issued a warrant for his arrest. The accused is believed to have fled Moose Lake and may be in The Pas, Flin Flon, or Winnipeg. Anyone with information is asked to contact the Moose Lake RCMP at 204-678-2399 or call Manitoba Crime Stoppers anonymously at 1-800-222-8477, submit a secure tip online at www.manitobacrimestoppers.com or text “TIPMAN” plus your message to CRIMES (274637). Manitobans Have Expressed Concerns About Winter Driving. 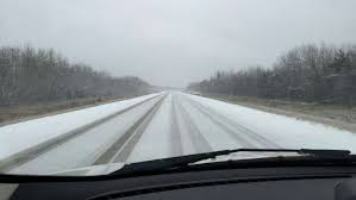 CAA Manitoba has surveyed its members about their winter driving worries. The results indicate that while hardy Manitobans don’t let winter reduce the frequency of their travel they do worry about hazardous driving conditions including black ice, blizzards, high snow banks left by plows, ruts on the street, blowing snow and snow on roads that’s more than a few centimeters deep. Beyond the elements and maintenance they added distracted drivers, tailgaters and people who drive too fast for conditions. CAA lists three tips suitable for all winter conditions including increasing your following distance to avoid collisions, prevent skidding by practicing good driving habits and see and be seen for safety by removing ice and snow from the entire vehicle. You Are Invited to Light a Candle Tomorrow. 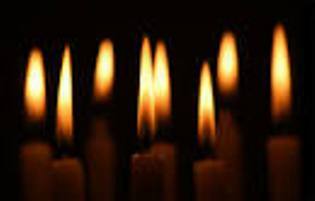 The Womens Resource Center is holding its annual Candle Light Vigil tomorrow evening. The Center’s Laurie Sealey invites everyone to take part as December 6th is designated as the National Day of Remembrance and Action on Violence Against all Women. She says this day is a remembrance for the young women who lost their lives at Ecole Polytechnique but it also reminds all of us violence can strike at any time so together we can form a strong alliance, we need to stand united to help deliver the message to end violence against women and girls. She adds together we need to use our own collective voices to say enough is enough and work together to end violence against women. Candles will be available at Pioneer Square with the Vigil stating at 5:15 tomorrow evening. If you can’t attend you can listen to 102.9 CFAR at 5:15 to hear their message. Plans For a New Main Street Business Were Presented to Flin Flon City Council Last Night. 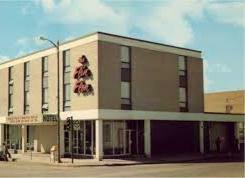 Council heard plans from Jamie Szocs and Chandra Morgan for the long vacant Flin Flon Hotel building on Main Street. Their plan is for a six to eight lane bowling alley, a lounge with fresh made food services, children’s entertainment area, virtual reality games and many other entertainment options. The second and third floors will be renovated in the future possibly to provide suites for medical staff, students or seniors. They noted they are a group of three women with extensive bowling and business experience who believe Flin Flon needs a safe sporting option for children and adults alike providing employment for 12 to 20 people. They asked Council about parking, access to the dump with renovations starting, taxes and water services. 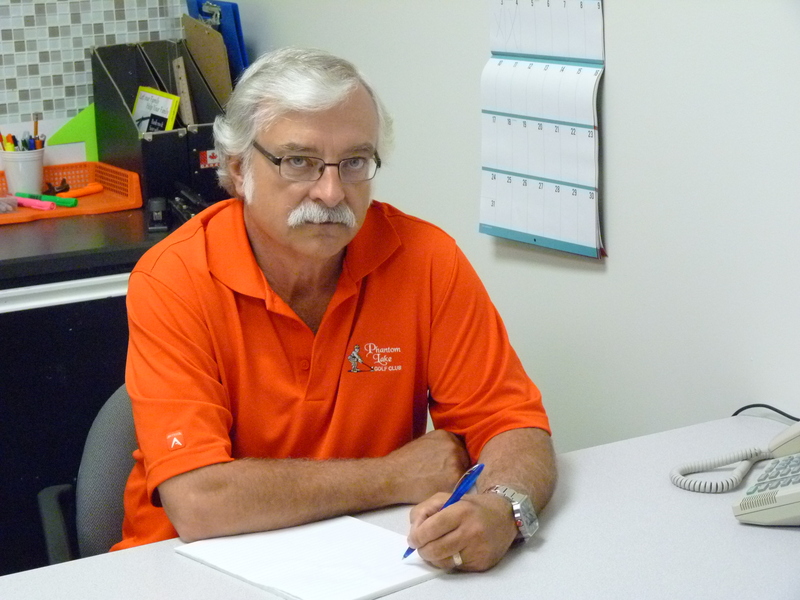 Mayor Cal Huntley asked for a copy of their business plan to be referred to Council and the Finance Committee. A New Course Will Prepare Youth for the Job Market. The Manitoba government is launching a new online Youth Worker Readiness Certificate Course to teach youth the basics about workers and employers rights and responsibilities for safety and health in the workplace. The interactive course is based on Saskatchewan’s successful youth readiness course and is tailored for Manitoba. Employers seeking to hire a worker under the age of 16 are required to confirm the successful completion of the course and keep a copy of the certificate as an employment record. A person must be 13 years of age to work in Manitoba and there are restrictions on the hours a person under 16 can work including not working more the 20 hours during a school week. Seniors Can Tour Homes Decorated for Christmas. The Flin Flon Inner Wheel Club is offering a Seniors Christmas Lights Tour on Wednesday December 12th at 6:30 pm. The Inner Wheel’s Betty Smith explains they do a tour around town to the decorated homes to let everybody have a look at everybody’s work and then they go back to City Hall to have hot chocolate and goodies that will be served and this is all sponsored by the Flin Flon Inner Wheel Club with the help of Hudbay. For information and to reserve your seat call Betty right away at 204-687-3298 as there is limited seating available. More People Called For Rides This Past Weekend. Operation Red Nose had a successful second weekend in the Flin Flon Area. The Rotary Club’s Committee Chair Ted Hewitt says it was a good weekend providing a total of 24 rides. He says they expected a few more but were satisfied with what they got. He explains volunteers from the Border Explorers and the Ski Club worked the Friday and Saturday and the weather was warm and the road conditions were very good. Hewitt notes even though Operation Red Nose is offered as a free service those receiving the service were very generous with their donations adding all the funds collected stay within our community for children’s activities preferably in organized sports. Operation Red Nose will again be available Friday and Saturday nights until December 28th as well as New Year’s Eve. Hewitt adds they still need volunteers for December 21st, 22nd and 28th as well as New Years Eve. Forms can be found online at www.operationrednose.com and at Flin Flon and Standard Insurance which are taken to the RCMP office with two pieces of identification. For information call Ted at 204-687-7450. The City of Flin Flon is in the Process of Developing Plans For the Closure of Hudbay. 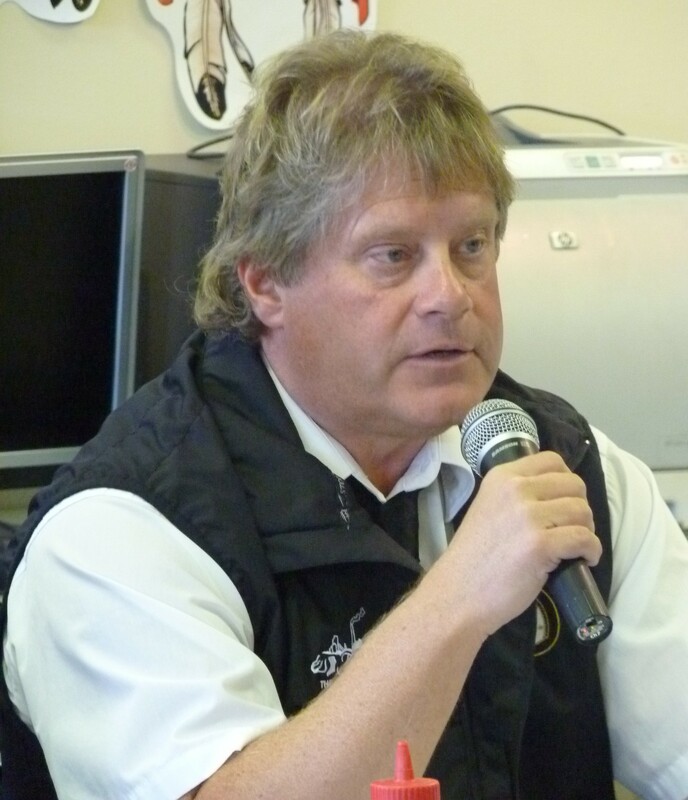 Mayor Cal Huntley says the proposed closure of Hudbays Flin Flon operations in 2021 still leaves a lot of questions to be answered. But he says they have to start planning for the scenario presented in the news release. He says they’ve already started working on diversity and different things like that to help try and mitigate so he doesn’t see a huge change in strategy right now other than planning for some additional initiatives around the community as a whole. Hs says they’ve planted some seeds with the government around the Mining Reserve Fund and some potential projects that could help with the sustainability of the community and so they’re looking at everything right now as well as looking at how do they can do things better from a city perspective given that theoretically in three years the way it’s being proposed there could be a significant decrease in funding. Huntley adds they have to decide how they are going to deal with that issue. He says over the next several weeks they’ll start to formulate how they need to change the strategy that they presently have in place and what that will lead to. High Grade Copper and Gold Have Been Encountered at an Exploration Site West of Flin Flon. Foran Mining Corporation has announced the final results from their summer resource definition drill program at their McIlvenna Bay copper zinc deposit 65 kilometer west of Flin Flon. That includes encountering 39 meters of 3.13 percent copper equivalent intersected in the heart of the deposit. Their President and CEO Patrick Soares says the 2018 McIlvenna Bay drill program has been an unqualified success. He explains tighter drill spacing in deeper parts of the deposit should upgrade a significant portion of the inferred resources to the indicated category which in turn should roll into the mineral reserve. Engineering and metallurgical studies are underway he added and the project is on track to deliver a feasibility study in the second half of next year. Soares notes they are working hard to advance McIlvenna Bay towards a production decision he hopes will catch the anticipated copper-zinc price rebound. Testing is the Focus of HIV AIDS Awareness Weeks. 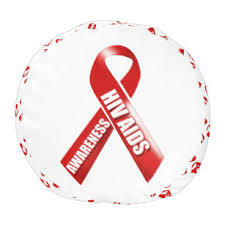 Last week was HIV AIDS Awareness Week, Saturday was World Aids Day and this week is Aboriginal HIV AIDS Awareness Week. The local Play It Safer Network has been providing information to the community and the committee’s Tara Dutcawich explains the theme this year is Know Your Status the importance of being tested and knowing your HIV status. She says the message is they want people to know that HIV is a preventable virus and that there are things that we can do to prevent transmission of HIV even if you are HIV positive, for example taking your medications every day. She adds you can’t tell by looking at someone whether they have HIV or not so you really need to go and get tested and find out your status so they’re really trying to normalize HIV testing as a part of taking care of your sexual health so feel free to talk to your family doctor or come to the Public Health office and a Public Health Nurse can test you. The Play it Safer Network is a community based committee made up of health care professionals, service providers, school representatives, community members and youth.